Choosing the right Massachusetts home inspector can be a very difficult task for you and hiring the average home inspector can most likely confuse you. Unlike most professionals, you will likely not get to meet me until after you hire me and actually meet me on-site. Furthermore, different home inspectors have varying qualifications, different equipment, more or less experience, varying reporting methods, and yes, a different pricing structure. I (David Valley) will provide you with more in depth information on your new home and in turn, make your home buying process a lot less stressful and much more informative. I am a talker, so please prepare yourself for a few hours of pertinent information regarding your prospective home. No need to take notes, all inspection information will also be annotated in your comprehensive home inspection report. One thing for sure is that a thorough home inspection requires work, a lot of work that requires a lot of experience in order to locate existing issues that are not visible by the average homeowner. Ultimately, a thorough inspection depends heavily on an individual inspector's own effort. That being stated, if you honor me by permitting me to inspect your prospective Massachusetts home, I'll guarantee you that I will give you my very best effort. This....I absolutely promise you. 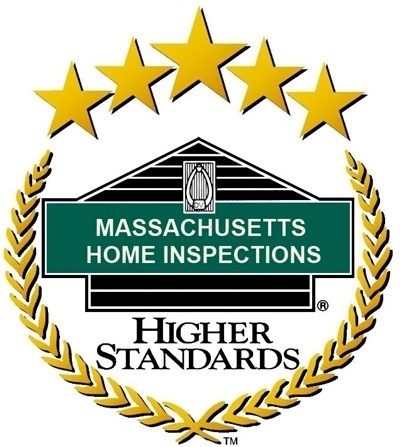 Massachusetts Home Inspections is an independently owned and operated home inspection business located in Methuen, proudly serving home Buyers and Sellers throughout Eastern Massachusetts. When you schedule a home inspection with me, you can feel confident and secure knowing that you have a Certified home inspection professional (with a trained eye) on your side. You can place your trust in me to give you a 100% honest, independent and impartial evaluation of your future home. I am State licensed; Nationally Certified and Fully Insured.